Photos again taken with my phone. I need to learn a lesson here, though it's not clear whether the lesson is (a) carry your camera around everywhere, (b) only eat in the daylight, or (c) better no photos than phone photos. 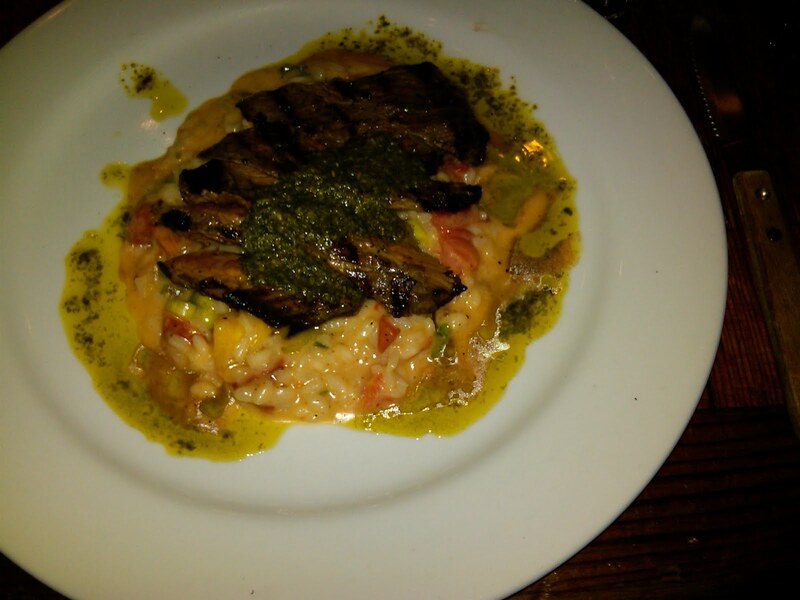 This was the special, flank steak over a heirloom tomato risotto. 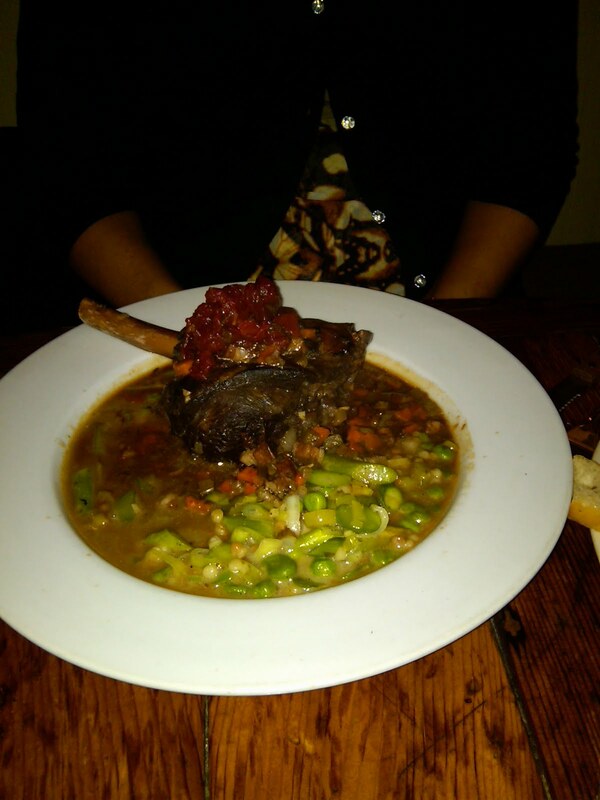 Lamb shank with various vegetables (peas, asparagus, fava beans, etc.) in jus.